To conclude our Hysterical Sound series, we are pleased to present an excerpt from John Corbett, Terri Kapsalis and Danny Thompson’s performance of The Hysterical Alphabet. Through this series we have explored a history of fetishizing women’s hysterical vocalizations with Gordon Sullivan’s post on Clayton Cubitt’s video work, and my post on Sam Taylor-Johnson’s film Hysteria and it’s relation to the “silence” of hysteria in medical history. SO! is grateful to the artists for sharing their work with us. Inspired by primary medical writings and actual case histories, “The Hysterical Alphabet” tracks the 4,000 year history of hysteria starting with A in ancient Egypt. First published as a book with text by Terri Kapsalis and drawings by Gina Litherland, it subsequently assumed a different form as a performance featuring video and live soundtrack. Terri Kapsalis (voice), John Corbett (sound), and Danny Thompson (video) performed the feature length piece from 2007-2012 in many different venues, including the Art Institute of Chicago, Emory University, RISD, Bates College, Clark University, and the University of Chicago. The video documentation included here excerpts the letters S, T, U, and V, which focus on the 19th century, moving into the 20th century, and were drawn from the work of Charlotte Perkins Gilman, S. Weir Mitchell, Jean-Martin Charcot, and Sigmund Freud, among others. John Corbett (sound) is a writer, sound-artist, and curator. He is the co-director of the art gallery Corbett vs. Dempsey. In 2002, Corbett served as Artistic Director of JazzFest Berlin, and he co-curated the Empty Bottle Festival of Jazz & Improvised Music for nine years. He is the producer of the Unheard Music Series, an archival program dedicated to creative music issues and re- issues, and he is the author of Extended Play: Sounding Off from John Cage to Dr. Funkenstein and Microgroove: Forays into Other Music. Corbett can be heard on a number of CDs including I’m Sick About My Hat and has brought his sound skills to two previous Theater Oobleck productions. Terri Kapsalis’ (text/sound) writings have appeared in such publications as Short Fiction, The Baffler, Denver Quarterly, new formations, Public, and Lusitania. She is the author of Jane Addams’ Travel Medicine Kit, Hysterical Alphabet, and Public Privates: Performing Gynecology from Both Ends of the Speculum. Kapsalis is a founding member of Theater Oobleck, works as a health educator at Chicago Women’s Health Center, and teaches at the School of the Art Institute of Chicago. Danny Thompson (video) is a founding member of Theater Oobleck, for which he has written (and performed in) 20 plays and solo performances, including Necessity, Big Tooth High-Tech Megatron vs. the Sockpuppet of Procrastination, and The Complete Lost Works of Samuel Beckett as Found in an Envelope (Partially Burned) in a Dustbin in Paris Labeled “Never to be Performed. Never. Ever. Ever. Or I’ll Sue! I’ll Sue from the Grave!!! The latter was given the “Comedy Excellence Award” at the 2000 New York Fringe Festival, “Top Ten of the Fest” at the Edinburgh Fringe Festival in Scotland, and extensively toured the U.K. and Ireland. 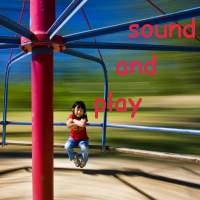 When hearing bodily sounds, we often react with discomfort, irritation, or even shame. The sounds of the body remind us of its fallible and vulnerable nature, calling to mind French surgeon René Leriche’s statement that “health is life lived in the silence of the organs” (1936). The mind rests when the inner works of the body are forgotten. Socially, sounds coming from the organic functions of the body such as chewing, lip smacking, breathing, sniffling, coughing, sneezing or slurping are considered annoying and perceived as intrusions. A recent study by Trevor Cox suggests that our reactions of disgust towards sounds of bodily excretions and secretions may be socially-learned and vary according to whether it is considered acceptable or unacceptable to make such sounds in public. However, for people suffering from a condition called Misophonia, these bodily sounds aren’t simply annoying, rather they become sudden triggers of aggressive impulses and involuntary fight or flight responses. Misophonia, meaning hatred of sound, is a chronic condition characterized by highly negative emotional responses to auditory triggers, which include repetitive and social sounds produced by another person, like hearing someone eating an apple, crunching chips, slurping on a soup spoon or even breathing. The consequences of Misophonia can be very troublesome, leading to social isolation or the continuous avoidance of certain places and situations such as family dinners, the workplace and recreational activities like going to the cinema. While rate of occurrence of new cases of Misophonia in the population is still under investigation, the fast growing number of online communities gathered around the dislike of certain sounds may indicate that this condition is more common than previously thought. But why do people with Misophonia feel such strong reactions to trigger sounds? This fundamental question remains up for debate. Some audiologists suggest these heightened emotional responses can be explained by hyperconnectivity between the auditory, limbic and autonomic nervous systems. However, we continue to lack a comprehensive theoretical model to understand Misophonia, as well as an effective treatment to help sufferers of Misophonia cope with intrusive sound triggers. The Art of Annoyance: is it possible to reframe misophonic trigger sounds as misophonic music? Well, you know how I adjusted to that problem of the radio in the environment (…) I simply made a piece using radios. 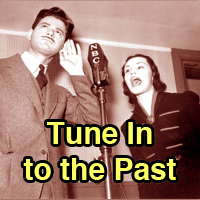 Now, whenever I hear radios – even a single one, not just twelve at a time, as you must have heard on the beach, at least – I think, “Well, they’re just playing my piece.-– John Cage, Radio Happenings. Cage proposes a remedy via appropriation of environmental intrusions. The negative emotional charge associated with them is neutralized. Sound intrusions no longer exist as absolute external entities trying to intrude their way in. They become part of the self. Ultimately, there are no sonic intrusions, as the entire field of sound is desirable for composition. Cage’s immersive compositional anticipated an important strategy to build resilience towards aversive sound: exposure-based cognitive-behavioral therapy, which proposes a gradual immersion in trigger sounds. And I suggest we can mine the history of avant-garde practice to productively further the idea of immersion; in the realms of sound poetry, utterance based music, Fluxus events and many other sound art practices, bodily sounds have consistently been exalted as source of composition and performance. Much like Cage did with what he perceived as intrusive radio sounds, by performing chewing, coughs, slurps and hiccups, assembling snores and nose whistles, and singing the poetics of throat clearing, we may be able to elevate our body awareness and challenge the way we perceive unwanted sounds. In what follows, I sample these works with an ear toward misophonia, discussing their interventions in the often jarring world of everyday irritation. 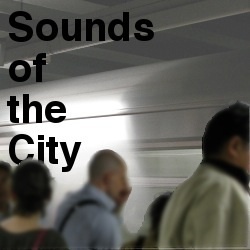 As pointed out by Nancy Perloff, while the avant-garde progressively expanded to incorporate the entire scope of sound into composition, sound poetry followed a similar course by playing with the non-semantic proprieties of language and exploring new vocal techniques. The Russian avant-garde (zaum), the Italian futurists (parole in libertà) and the German Dada (Hugo Ball’s verse ohne Worte) built the foundations of a new oral hyper-expression of the body through moans, clicks, hisses, hums, whooshes, whizzes, spits, and breaths. Sound poets like Henri Chopin created uncanny sonic textures by only using ‘vocal micro-particles’, revealing a sounding body that can be violent and intrusive. François Dufrêne and Gil J Wolman brought forward more raw and glottal performances. Bridging the gap between the Schwitter’s Dada-constructivism and a contemporary approach to sound poetry, Jaap Blonk’s inventive vocal performances cover a wide range of mouth sounds. In the same vein, Paul Dutton explores the limits of his voice, glottis, tongue, lips and nose as the medium for compositions — as can be heard on the record Mouth Pieces: Solo Soundsinging. Fluxus: Eat, Chew, Burp, Cough, Perform! The emergence of Fluxus is strongly linked to Cage’s 1957-59 class at New School for Social Research in NYC. George Bretch’s Event Score was one of the best known innovations to emerge from these classes. The Event Score was a performance technique drawn from short instructions that framed everyday life actions as minimal performances. Daily acts like chewing, coughing, licking, eating or preparing food were considered by themselves ready-made works of art. Many Fluxus artists such as Shigeko Kubota, Yoko Ono, Mieko Shiomi, and Alison Knowles saw these activities as forms of social music. For instance, Alison Knowles produced several famous Fluxus food events such as Make a Salad (1962), Make a Soup (1962), and The Identical Lunch (1967-73). Also, Mieko Shiomi‘s Shadow Piece No. 3 calls attention to the sound of amplified mastication, while Philip Corner’s piece Carrot Chew Performance is solely centered in the activity of chewing a carrot. Coughing is a form of love. In 1961, the Fluxus artist Yoko Ono composed a 32 minute, 31 second audio recording called Cough Piece, a precursor to her instruction Keep coughing a year (Grapefruit). In this recording, the sound of Ono’s cough emerges periodically from the indistinct background noise. The Cough Piece plays with the concept of time, prolonging the duration of an activity beyond what is considered socially acceptable. While listening to this piece, Yoko Ono brings us close to her body’s automatic reflexes, pulling back the veil of an indistinct inner turmoil. Coughing can be a bodily response to an irritating tickling feeling, troubled breathing, a sore throat or a reaction to foreign particles or microbes. In response, coughing is a way of clearing, a freeing re-flux of air, a way out. Coughing is a form of love. In the work The Ego and the Id (1923), Sigmund Freud stated that the ego is ultimately derived from bodily sensations. The psychoanalyst Didier Anzieu expanded this idea by suggesting that early experiences of sound are crucial to consolidate the infant’s ego. The bath of sounds surrounding the child created by the parent’s voices and their soothing sounds provides a sonorous envelope or an audio-phonic skin that protects the child against ego-assailing noises and helps the creation of the first boundaries between the inside and the external world. The lack of a satisfactory sound envelope may compromise the development of a proper sense of self, leaving it vulnerable to invasions from outside. It’s no surprise that conditions like Misophonia exist and are very common among us, considering how important our early exposure to sound is in building our sense of self and our sensory limits. For Misophonics, the everyday sounds we make without even thinking about them can be the source of a fractured and disruptive experience that we should not dismiss as the overreactions of a sensitive person. During the month we observe World Listening Day, our discourse usually praises the pleasures of listening and tends to focus on the sounds that soothe rather than annoy. However, conditions like Misophonia show us that there is much more that needs to be said on the subject of unpleasant sound experience. I can’t help but notice a disconnect between the vast exploration of annoying and irritating sounds in the avant-garde and the critical discourse in our sound communities that is dominated by the pleasures of listening. Cage’s call to embrace intrusive sounds urges us to consider all sounds regardless of where they fall on the spectrum of our emotions. For all of us who would consider ourselves philophonics, let’s create a critical discourse that addresses the struggles of listening as much as its pleasures. Thanks to Jennifer Stoever for the thoughtful suggestions. Carlo Patrão is a Portuguese radio artist and producer of the show Zepelim. His radio work began as a member of the Portuguese freeform station Radio Universidade de Coimbra (RUC). In his pieces, he aims to explore the diverse possibilities of radiophonic space through the medium of sound collage. He has participated in projects like Basic.fm, Radio Boredcast, and his work has been featured in several international sound festivals and has also been commissioned by Radio Arts (UK). He is currently working on a radio show for the Portuguese national public radio station RTP. In addition to his work in radio, he has a master’s in clinical psychology.